Next up, I have an e-design to share with you. 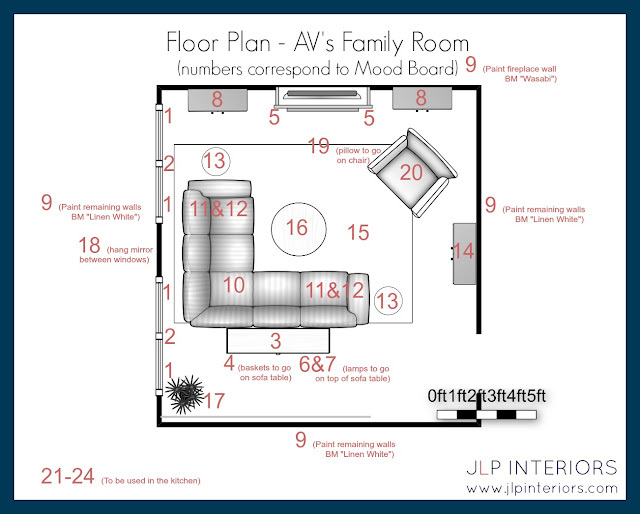 I had the pleasure of working with AV on a family room design for her new home. AV selected my Decor To-Go package and we started the process with a design questionnaire and a couple of chats about AV's vision for the room. The space is open to the kitchen eating area, separated by a half wall and has a fireplace and two large windows. AV wanted a room that was sophisticated yet kid-friendly with ample seating to accommodate her large family so they could all watch tv together. She also requested storage and a space for prayer. 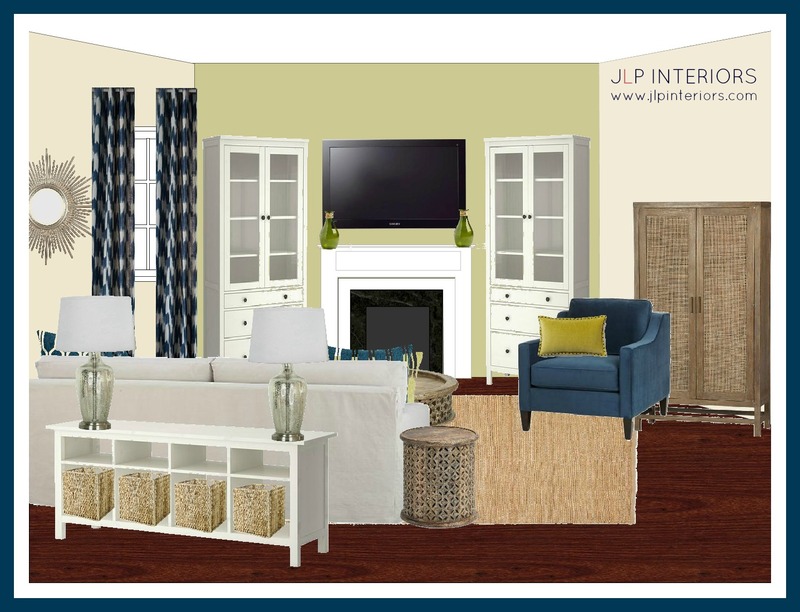 Inspired by the great room in the HGTV 2013 Dream House, she wanted to use a color scheme of blue, green, white and sand. 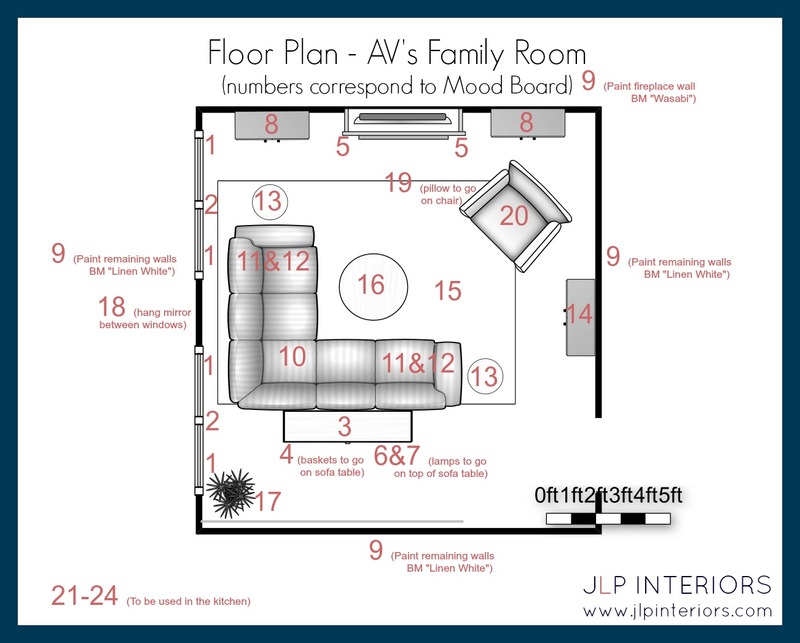 I put together a mood board, shopping list, floor plan, elevation, and detailed decorating instructions for AV. I also included a couple of recommendations for the kitchen (table, chairs, pin board, and cabinet hardware). This was such a fun project to work on and I can't wait to see the finished results! If your house could use an update, I'd love to work with you. 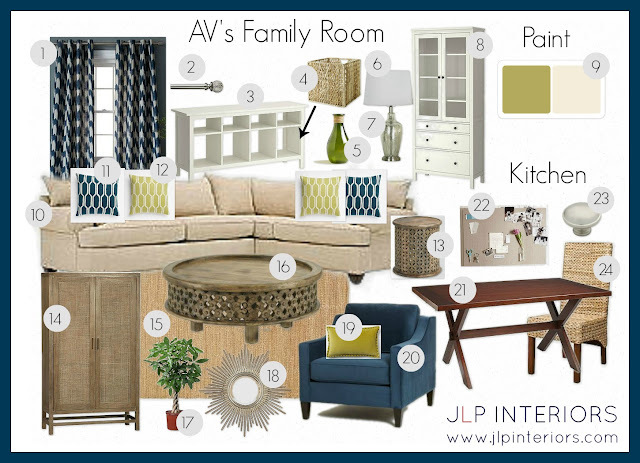 Please visit my website, JLP Interiors, for a description of services. how do you find the links to the products you put in? Hi Danielle! Out of respect for my paying clients, I've decided not to disclose sources for products in their designs. Sorry!